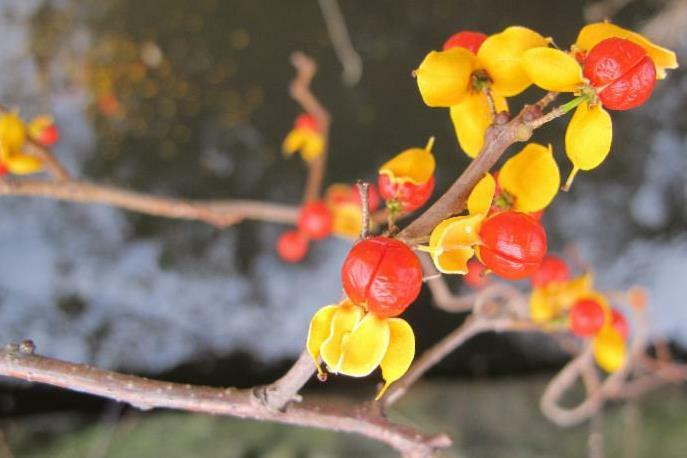 Oriental bittersweet is sometimes found for sale as a decoration during the holiday season, but under Connecticut state law, “no person shall import, move, sell, purchase, transplant, cultivate or distribute” Oriental bittersweet or any of the other plants listed in Sec. 22a-381d of the CT General Statutes. All seeds, flowers, and other reproductive portions of the listed plants are also similarly prohibited. The fine is currently set at $50 per plant for a violation of this statute. Contact MTS to find out more about how to manage and control this fast-growing invasive plant. Use of this plant in decorations helps spread seeds to new locations. Happy Thanksgiving from the Crew at Mountain Tree Service.